This paper explores the relationship between opportunity costs and the decision to pursue entrepreneurship among undergraduates as their first career choice. Our hypothesis is that undergraduate students from highly ranked universities have strong financial incentives (the “good job” trap) that lead them to pursue traditional, corporate careers immediately upon graduation. 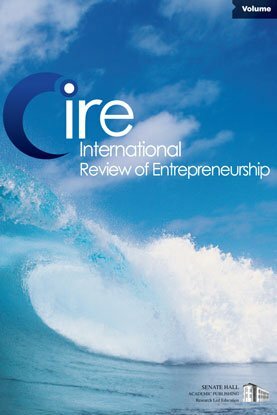 Analysis of 235 recent graduates from an Ivy League university and a Big Ten university, adjusted for monetary costs, parental preferences and individual ability, shows that the Ivy League graduates are less likely to become entrepreneurs immediately upon graduation due to opportunity cost considerations. Students are also less likely to pursue an entrepreneurial career if they have multiple job offers and conversely, lack of quality job offers is a strong motivator for self-employment. We argue that it is in fact the sensible choice for students to choose salaried employment rather than venture creation immediately upon graduation, even when they harbor entrepreneurial plans for the future. These findings have implications for programmatic and resource allocation decisions at the university level. Keywords: opportunity cost, venture creation, student ventures, entrepreneurship.